Sometimes you can just look at someone and tell how they’re feeling, even if you don’t know them well. This ability is largely believed to be intuitive, but there is a physiological basis to it: color vision in primates evolved let us see fluctuations in blood-oxygen levels. Those fluctuations tell us a lot about how other people are feeling and whether they are being honest. We can no longer consciously perceive these cues, but with the right tools we can learn to once again notice how people are feeling or what they are thinking based on the levels of oxygen in their blood. 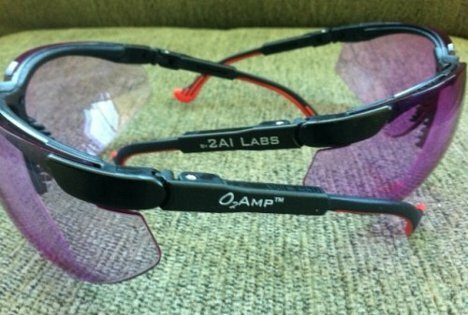 The O2Amps glasses from 2AI Labs are tinted sunglasses that amplify these constant changes in blood physiology. 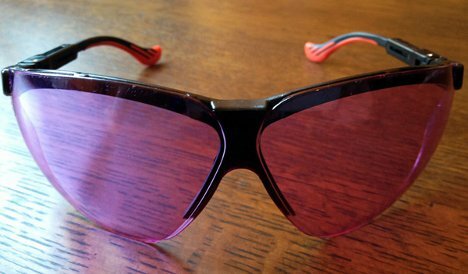 Besides telling you what kind of mood your spouse is in, the glasses can help medical personnel find veins or assist security people in telling when someone is nervously hiding something. The company says the glasses could even be used on first dates to determine just how honest your potential soul mate is being with you. See more in Cybernetics or under Technology. July, 2012.